Turkey's first Halal Tourism Workshop will take place in February to analyze the country's current state in terms of halal tourism opportunities and create a "common global language" regarding the halal tourism sector. Organized by Süleyman Demirel University's Halal Tourism Administration-Research Center, the workshop will take place on Feb. 22-24. The workshop will analyze the opportunities for halal tourism in Turkey, as well as the country's strength and weaknesses. "We have full faith that Turkey has the potential to create such language," Tekin added. Professor Tekin noted that they plan to publish a "Halal Tourism Guide" in Turkey. He continued by saying that there are around 400 million Muslims living near Turkey and that at least 90 percent of these people travel with a set of values based on their beliefs, such as having halal-certified food, no alcohol in the hotels stay at. "Turkey should become the main destination for halal tourism and needs to identify new markets to attract more visitors," Tekin said. 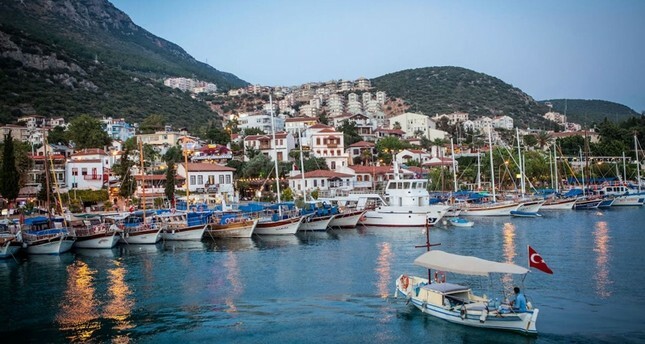 Turkey's natural and historic attractions have long been a magnetic force drawing tourists from around the world and in recent years, varied tourism options have attracted tourists from Muslim and Arabic-speaking countries.